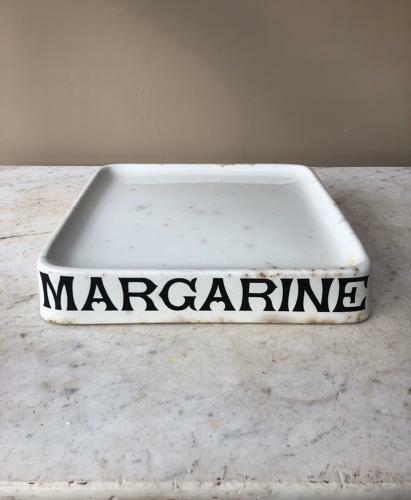 Edwardian White Ironstone Dairy Slab "MARGARINE" with great Parnall makers stamp underneath. Staining but no damage. Great original piece with no restoration. Post is Special Delivery Next Day tracked and signed for, for £28.